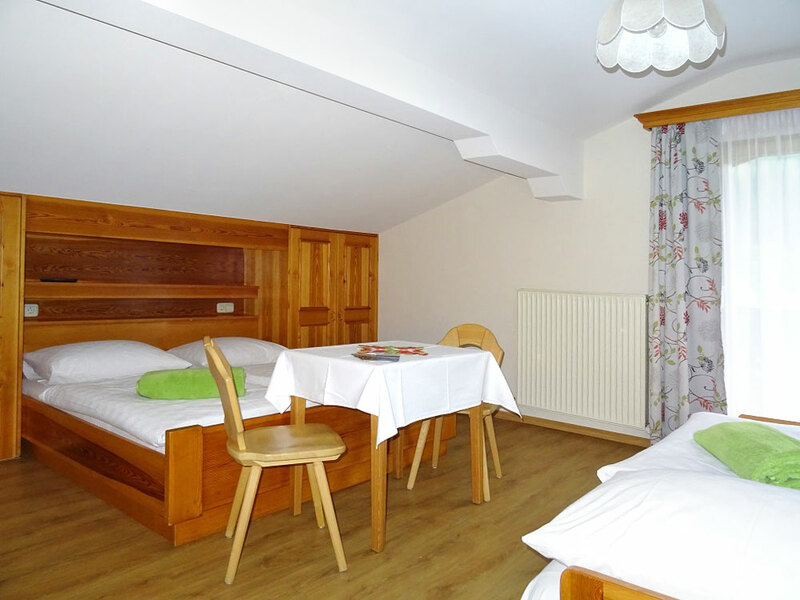 Our high-quality apartment at Haus Annemarie in Radstadt is ideal for 4 to 6 persons. 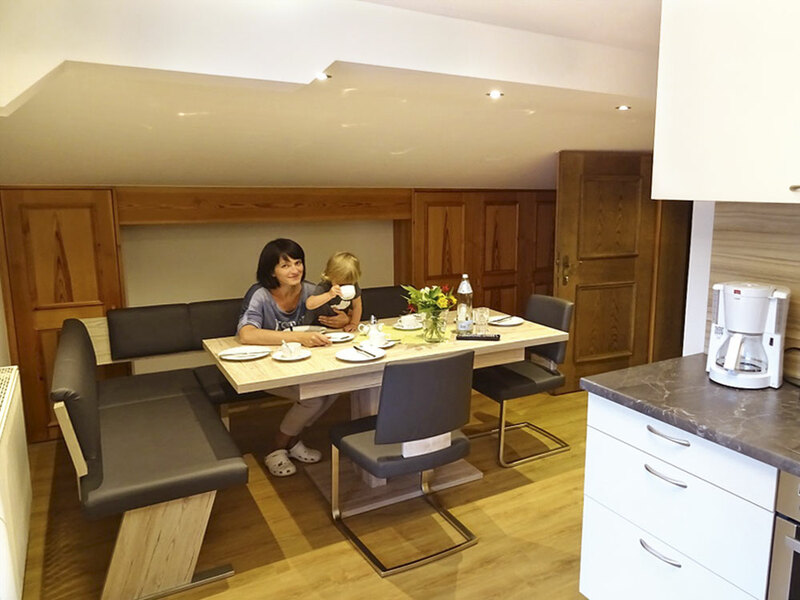 The accommodation offers 3 bedrooms each with en-suite bathroom plus a fully-equipped kitchen with dining area. Here you’ll find plenty of space for getting together with family and friends. 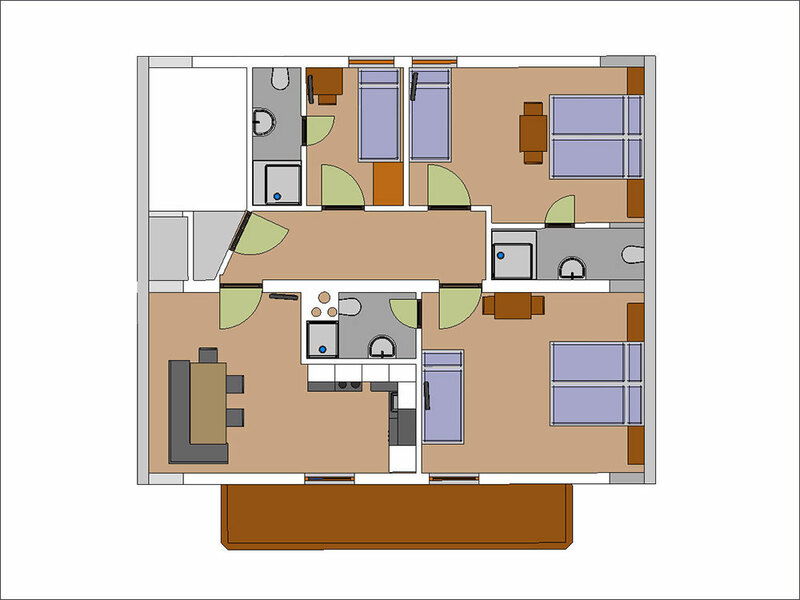 In addition our apartment in Radstadt offers a spacious balcony and free wi-fi. A double room for a further 2 persons can also be booked. 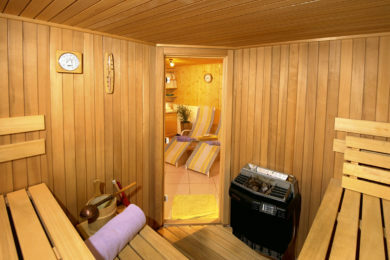 Take advantage of the additional in-house facilities such as Finnish sauna, ski room etc. 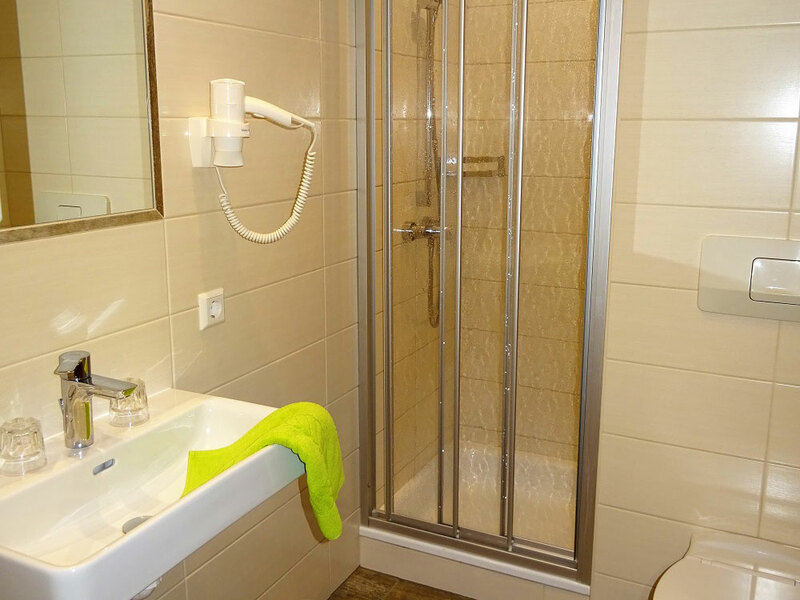 A double room with en-suite bathroom (shower and WC can be booked together with the apartment. 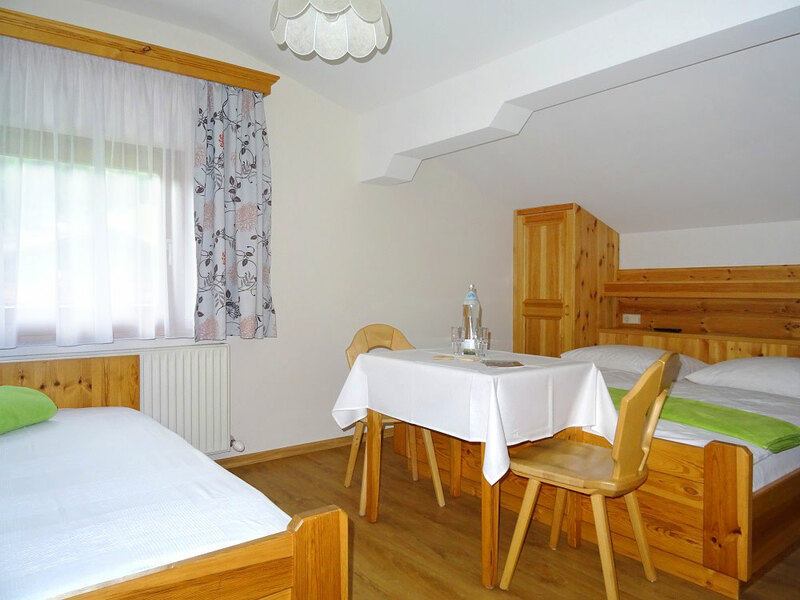 All prices are in Euro for the stated number of persons per nights, excl. 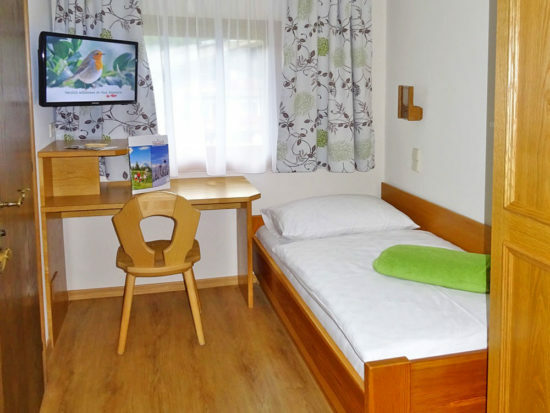 end of stay cleaning fee (1 x € 40,00) and resort tax of (€ 1,15 per person per night). Subject to change. Errors and omissions excepted. The following packages can be booked via the Tourist Office in Radstadt. Relax in our in-house Finnish sauna (€ 5,00 per person) and on our comfy loungers. Our bike and ski cellar with ski boot dryer is available for storing your sports equipment. Children can play in our children’s playground with sandpit, swing table tennis etc.